I’ve been creating websites since I was a teen. At first, I did it all by hand using HTML and CSS. I would spend hours tinkering with the code and design just for fun. But these days, I value efficiency, and I’ve found that the fastest, easiest, and most affordable way to build a high-quality website is with WordPress.org. In this blog post, I’m going to go through the steps for creating an author website using this invaluable content management system. First, though, let me address a couple of concerns you might have. Why do you need an author website? 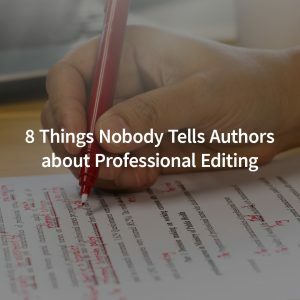 Isn’t your Facebook page, Twitter profile, Amazon author page, etc. enough? I personally don’t think so. The reason is that you are not in control of your social media pages. Sure, you post your bio, tweets, whatever, but Facebook, Twitter, Instagram, and any other platform can change their rules at any time. They can suspend you or even ban you, and then you’ve lost your followers, likes, etc. as well as your online presence on that platform. A website is a piece of online real estate that you own. If you have a self-hosted website, you pay for space at a web host, but you retain ownership of your content and can take it with you anywhere. A website is also a great place to gather signups to your mailing list, which is a followers list no social media site can take away. You can also use it to blog or do basically anything else you want online. You can even sell your own books or other digital products! Why WordPress.org instead of WordPress.com? WordPress.org is different than WordPress.com. WordPress.org is open-source software you can download for free and install on your self-hosted website, e.g., a website with a hosting company (I recommend Bluehost) and your own domain name. WordPress.com is similar to website builders like Wix and Squarespace (more on those in a second) except that it is much more basic. It features a watered-down (at least on the free plan) version of WordPress.org on WordPress.com servers. With a paid plan, you can have a domain name. Unless you’re set on having a completely free website (and if you’re serious about being an author, you should be willing to invest in your web presence), I don’t recommend WordPress.com. I’ve used both it and WordPress.org, and WordPress.com is much less flexible and can be more cost-intensive. 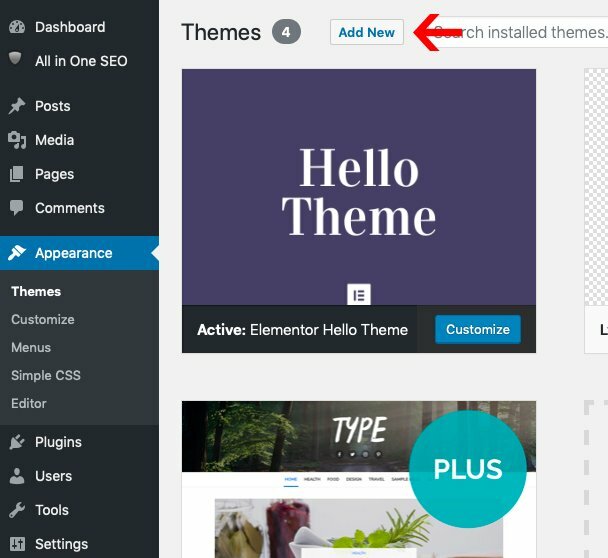 With WordPress.org, you can choose from hundreds of free themes, but on WordPress.com you have to pay at least $8 per month to get access to more than a limited number. Plus, as an author, you’d probably end up wanting the $25 per month plan, which is best for small businesses. 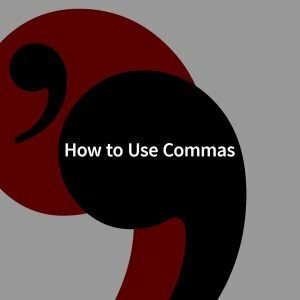 In this tutorial, I will only be covering WordPress.org, and I will from now on refer to it simply as WordPress. Why WordPress instead of a website builder like Wix or Squarespace? These are perfectly fine alternatives to a self-hosted website. I’ve personally used Squarespace and enjoyed it. But WordPress is much more flexible than a website builder because you can use a seemingly endless amount of themes and plugins to customize your experience and create your dream website. Plus, you don’t have to worry about things like third-party ads on your site unless you pay a certain amount. And if you ever want to move your site to a new web host, you can do that with WordPress. Ready to create your site? In order to create your website, you need somewhere for it to live. For this, you need a web host. I personally use SiteGround and am having a good experience with their managed WordPress hosting. I’ve also used Bluehost and was with them for several years, but so far, SiteGround’s servers seem to be faster, and I love their backend user interface. When signing up for hosting, you’ll have a few options, and they can be confusing to navigate. If you’re on a budget, I recommend shared hosting. 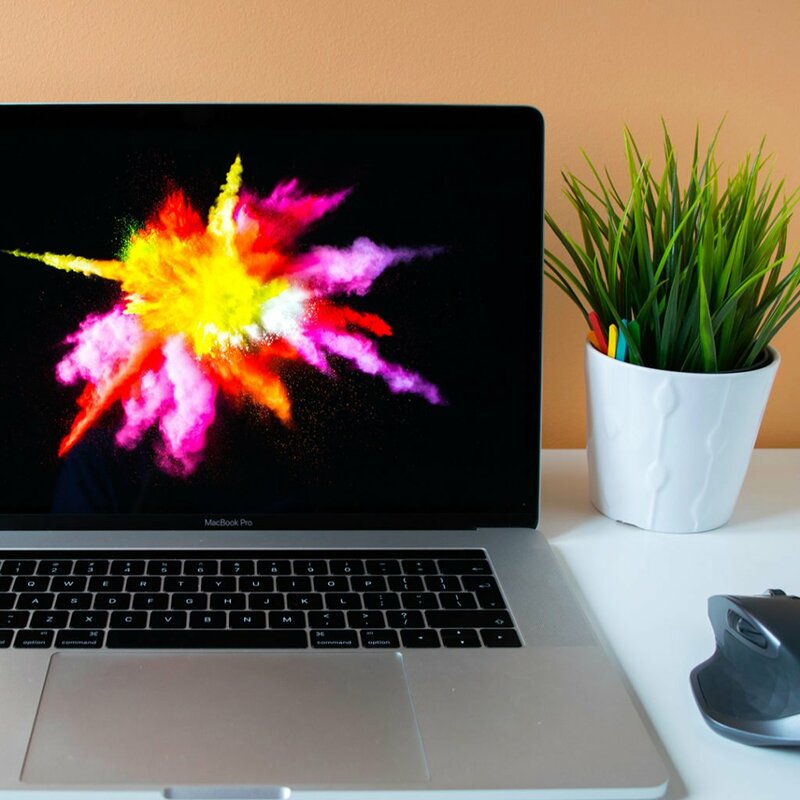 If you’ll be using your website to host a lot of images or big files, you’ll want to pay attention to how much space and bandwidth you’re getting. Also pay attention to limits on how many domains or sites you can have on the plan. If you think you might want to host more than one website or have parked domains, e.g. domains which redirect to your main site, you’ll want to make sure your plan offers as many as you need. You might have more than one website if you have or plan to have multiple pen names. 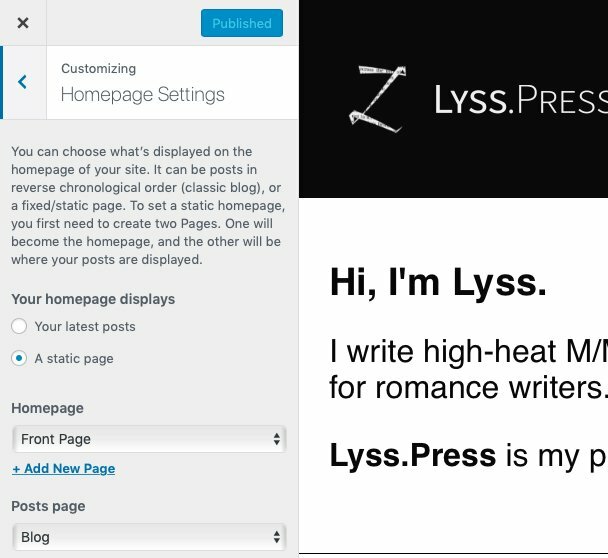 Or you might want a parked domain if you have multiple pen names that direct to one publishing hub like I do (both lyssem.com and lyssadering.com redirect to lyss.press). Step 2: Get a domain name. Most hosting providers offer domains with their hosting. Domains are a subscription-based service just like hosting, and though some hosting providers offer a free domain to new customers, eventually, the domain will be a separate cost. If you don’t decide to get your domain name at the same place as your hosting, a good option for a domain host is Namecheap. They specialize in domains, and as a result, their interface is fun and easy to navigate. They even have a mobile app. I personally use them for my domains. The only downside to using a separate domain host is that you have to worry about setting your domain name’s nameservers correctly so that your domain name connects to your website. This sounds more complicated than it is, however, and amounts to changing a couple of fields in the settings areas of your domain host and web host. If you have trouble with nameservers, customer support can help you. I’ll note that if you choose one of these options and find you don’t like it, you can transfer your domain from one host to another. This can be a bit of a hassle, though, and will involve renewing your domain. Step 3: Download and install WordPress. If your web host offers a one-click WordPress install, you’ll be going to your web host user interface to install WordPress. SiteGround has WordPress install options, as does Bluehost. Installing WordPress the manual way is almost as easy. Go to the WordPress.org download page, download the file, and follow the 5-minute installation instructions. Step 4: Log in to WordPress and build your site. Now, you’re ready to pick your theme and create your site’s pages. The first thing you’ll want to do is pick a design for your site. 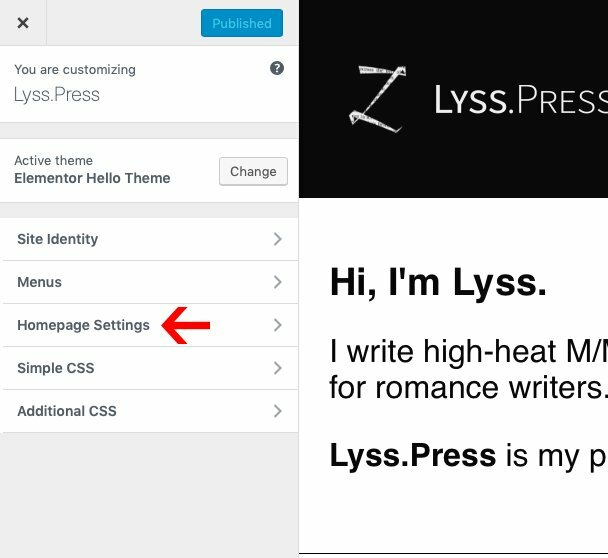 Your site will have a default WordPress theme, so you can put this off, but you’ll probably want to find a theme you like. When you’re just starting out, it’s easiest to find a free theme from within this interface. There are several to choose from. 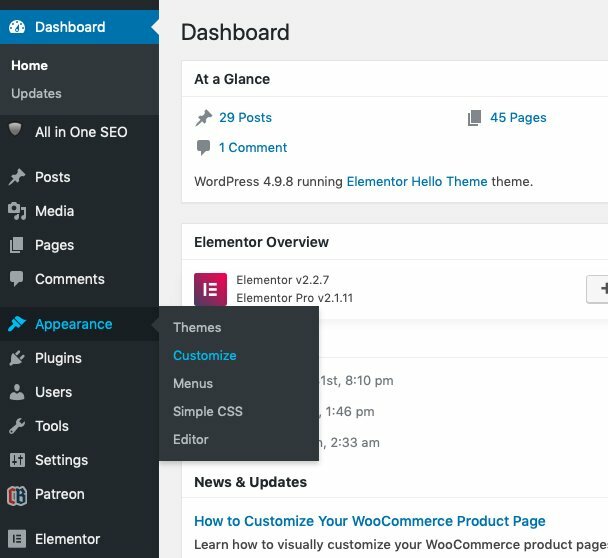 You can always change your theme later, and you can even buy themes from elsewhere and upload them into your site. To find the free themes, go to Appearance>>Themes and then click Add New. Once you have a theme is installed, you can edit it by going to Appearance>>Customize. This area will have several options for you choose from. Once you’re happy with your theme, it’s time to create some pages. To do this, go to the Pages section of WordPress. Here are the key pages you need to create. You have two choices for the look of your front page: you can either show your latest blog posts or a static page. Having a blog on WordPress is not required, and whether or not you should have one is a topic outside the scope of this post. 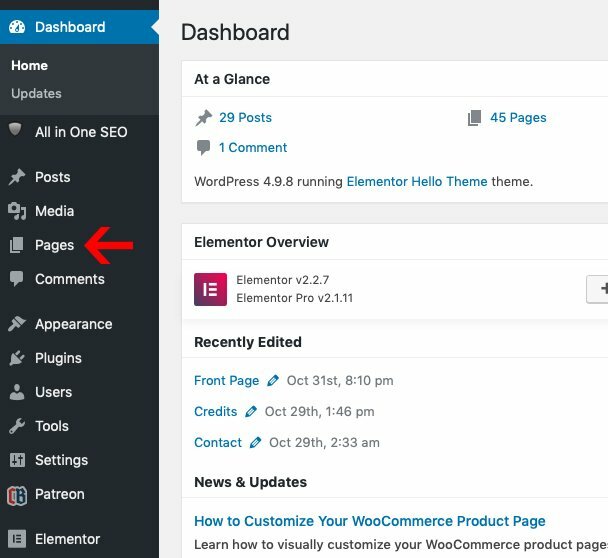 By default, WordPress shows your latest blog posts on the front page. If you want to have a static front page, you will need to create it in Pages. Then, to make it your front page, go into Appearance>>Customize and find Homepage Settings. You’ll see that you can point your blog to another URL such as yourdomain.com/blog. Your about page will have your author biography and anything else you want to share with visitors. You can also include a contact form. The easiest way to include a form on WordPress is to install a plugin. To find a forms plugin, go to the Plugins area and search for one (the process is similar to when you searched for a theme). I’ve personally used Ninja Forms and can recommend it. Its free version is pretty great. Currently, though, I use Elementor, a drag-and-drop theme builder. Its super awesome Pro version includes forms. As an author, you’ll want a place on your website that tells visitors about your work. Oftentimes, this area will be called Books and show a list of your books with buy links. 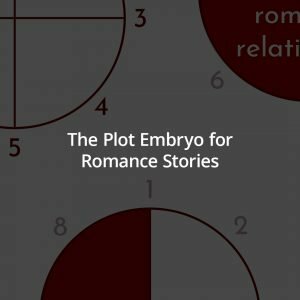 As an example, you can view mine at lyss.press/books. If you don’t have anything published yet, you can still have a page to tell your visitors about what you’re working on. What you have available to read is one question they will want to know the answer to, so don’t leave them hanging. This post barely scratches the surface of what you can do with WordPress, but it is a good start. At this point, you might be feeling fatigued, or you might be enthusiastic about getting more into your site. It’s all understandable. When you’re ready, I recommend looking into setting up an email newsletter. A form to collect subscriber emails is something you’ll want to incorporate into your new site.